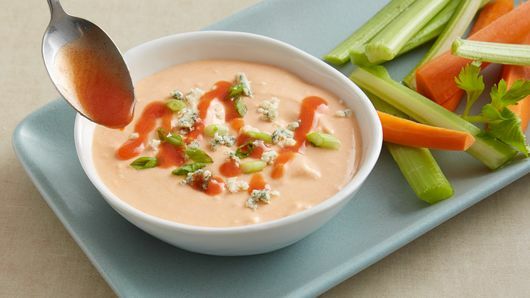 In large bowl, beat cream cheese and all but 2 tablespoons of the blue cheese with electric mixer on medium speed about 30 seconds or until combined. 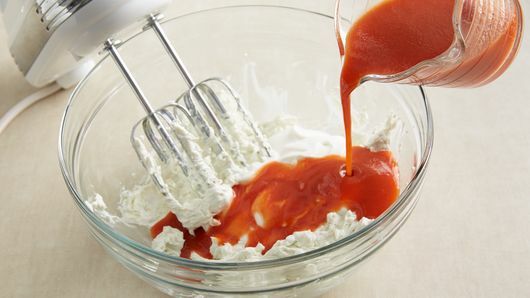 Add yogurt and wing sauce; beat 30 seconds longer. Transfer to serving bowl. Top with green onions and 2 tablespoons reserved blue cheese. Drizzle with additional wing sauce, if desired. 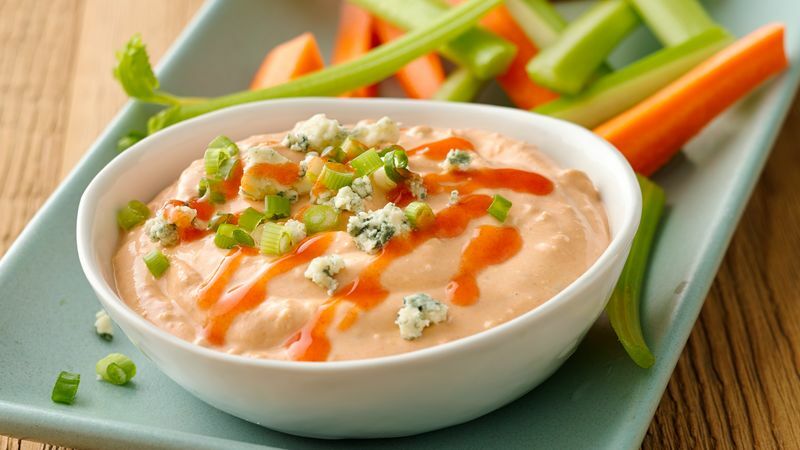 Serve with celery sticks, carrot sticks, chips, toasted bread or chicken strips, as desired. Make a sandwich with any leftover dip--just add pulled deli rotisserie chicken and shredded lettuce. 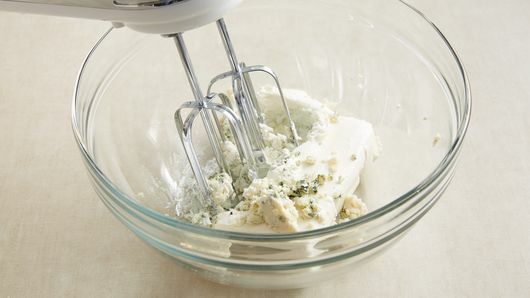 Crumble your own blue cheese for better texture and flavor.